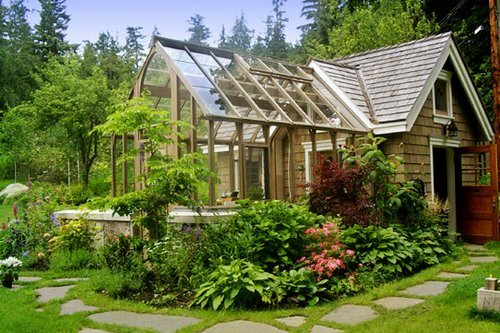 If you have a large greenhouse, a sprinkler irrigation system will do great. These systems are also good for plants that don’t mind wet foliage. Sprinklers also boost moisture levels in the unplanted sections of your greenhouse, making the method ideal for keeping these areas ready for cultivation. Spray/Misting Irrigation A spray/misting system is ideal for a greenhouse that has many seeds requiring regular supply of water. These techniques spray water onto the soil in fine proportions, progressively hydrating it without causing disturbance. The majority of spray/misting systems are automated, so they make the process of watering your greenhouse very simple. Drip Watering Drip irrigation is one of the most efficient greenhouse watering systems. You may set up the apparatus on the soil surface or bury it underneath. The dripping is slow since water is released at specific intervals throughout the day, making sure that plants do not dry out and water is used efficiently as there is no wastage due to run off associated with heavy watering. The system operates effectively with good water pressure, mostly it works with a solar powered pump linked to a water tank, and it may be entirely automated. Drip systems are idea for a greenhouse of any size, and you can scale them up or down based on requirements. Capillary Matting Capillary mats are appropriate for small greenhouses or farmers that are new to this kind of farming. It is viewed as one of the most efficient irrigation methods, and it’s fast and low-maintenance. Mats gain wetness by absorbing water from a storage. You then place plants on these to have access to water at any single moment. These plants have to source their water from the mats underneath, so they have to naturally grow deeper routes. With capillary irrigation, a humid environment is created, helping plants grow and saving water. Greenhouse irrigation can save the day when natural sources of water are hard to avail. There may be numerous greenhouse watering systems, but you should use an efficient technique that’s right for your plants.